Hello to Parents, Guardians, Well-Wishers…. Last Sunday you should have received a notice from your Junior High student(s) announcing the move of our Junior High Sunday program to Westheights Public School beginning Sunday, January 15th 2012. We wanted to drop you a note with some more details and share some of the changes that have taken place in the Junior High ministry at Westheights. Beginning in the fall of 2010, we noticed a dramatic increase in attendance for our Sunday morning experience. The combination of new families attending Sunday service, students bringing friends, and graduates from grade 5 resulted in our class almost doubling in size. What a wonderful thing! It became clear, however, that our current space was preventing our program from running as it had before. Junior Highs need room to move and they love games. We have a fantastic team of leaders that love to play along with them. Our space limitations have meant keeping active games to a minimum. To accommodate our group we began to introduce a small group model, where the large group would be broken down into groups of 5-7 students. However, as our group continued to grow, we began running out of space for these groups to meet. On top of all of this, growth in the children’s ministry meant that they needed a bigger space themselves. With all of this in mind, in the summer of 2011 we began to explore options for offsite space. Proximity. 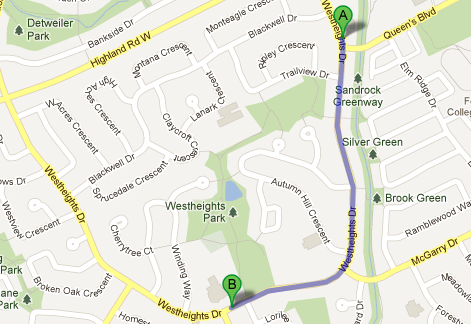 While offsite, WPS is just a two minute drive away from the main church building at 82 Westheights Drive. Also it is located right on the same road as our main facility and so it is easy to find. Turn left out of the parking lot and you’re on your way. This will allow us to help direct people to the school easily and with minimal confusion for those dropping students off. Size. By going with a school facility, we have access to a full gym. As a team we felt this was our best option as it not only solved our space issue but also gave us added high ceiling space. We can now play basketball, throw a football around and play tag – all inside and with little concern for lights and office equipment. It will also allow all our small groups to meet within the same room, improving communication. Community impact. We’re passionate about engaging with our community at Westheights, and we’re excited that one of our programs is now located primarily in a community site. By having our Junior High group meet in a school where Junior Highs attend, we believe new students will be more comfortable investigating our group. It gives us as a church community another way to express the joy and love of Jesus in the spaces of our neighbourhood. How awesome is that? We recognize that, as with every program change, there are both advantages and new challenges. Parents and guardians are going to have to include dropping Junior Highs off in their Sunday morning routine. For those who walk, some will find it closer while others will have farther to go. Communication between the Junior High team at Westheights Public School and the adult and children’s teams at Westheights Community Church will require a phone call rather than a face-to-face meeting now. Most of all, we’ll miss the feeling of being one big family at 82 Westheights. Our hope is to come up with creative solutions to these issues, and to treat this like an experiment. We’ll need to lean on each other for honest feedback, constructive ideas and grace in our interactions. 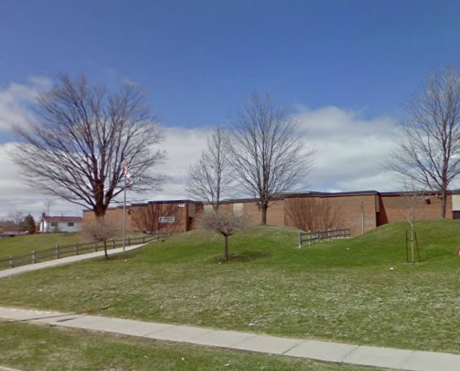 We have booked the gym at Westheights Public School from 10:00am until noon so students can be dropped off before the service. We’re also encouraging you to carpool with other families when it comes to dropping off and picking up your students. This will be especially helpful for those of you volunteering your time on Sunday mornings. We will be adding new leaders to our Sunday team, so that Gillian and I will be available to meet with new parents and students at 82 Westheights and explain the system to them. Maps and welcome cards will also be available for those who are new. We’re excited about this new chapter in the history of Junior High ministry at Westheights. We can’t wait to see how God is going to use this new environment to speak new things to our students. With the space to run, to play and to be loud, I believe a gym is the perfect environment for them to learn and to explore God’s mission for them. Thank you for your continued support and work in helping Junior Highs to find and follow Jesus.